...there's some site updates for you to have a look at over Christmas! A special Christmas message from Midge just for you! move in response to a track-ball. Jeremy Gardiner : "Purbeck Light Years"
Dennis Leigh : "Cathedral Oceans"
"Cathedral Oceans" is intended as a slow moving, contemplative piece. described as a digital, secular moving stained glass window. This exhibition has been supported by The London College of Music and Media. available, together with a limited edition "Cathedral Oceans" DVD. soon as I get an answer. 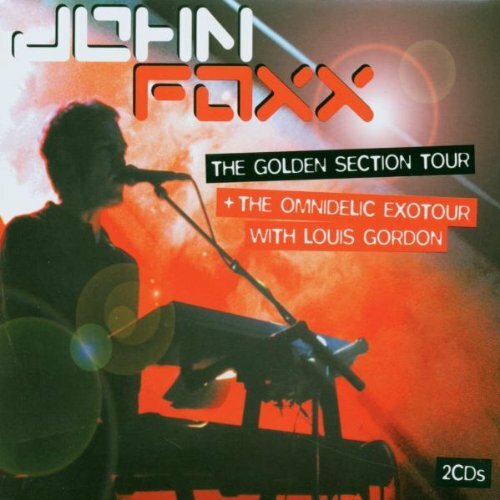 "The Golden Section Tour + The Omnidelic Exotour With Louis Gordon"
だとすると、"If I Was : The Very Best Of Midge Ure & Ultravox "
Band Aidの"Do They Know It's Christmas"
早速この間、Breatheが入っている"The very best of Midge Ure& Ultravox"